How do I setup and use Operation Hours in SQL-RD? Event-based schedules poll the event-source continuously. But you may want it to be "live" only at certain times. Operational Hours allow you to setup times during which an event is will trigger an Event-Based schedule. 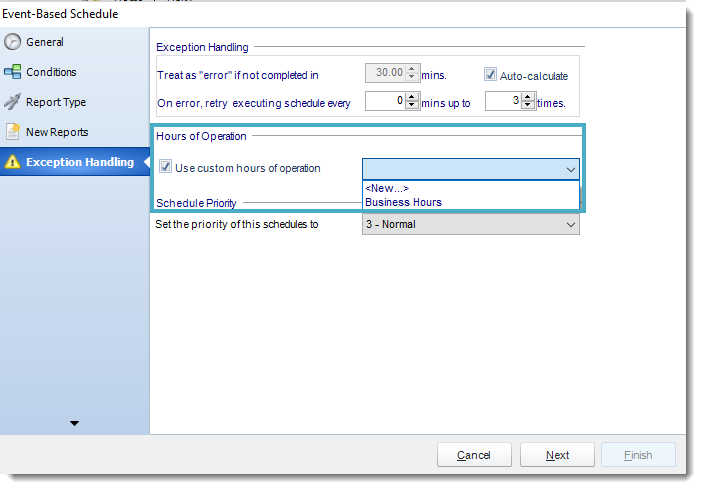 Operational Hours allow you to setup times during which an event is allowed to trigger an Event-Based schedule. If an event occurs during operational hours, the scheduled tasks will execute. For example, if you only wanted SQL-RD to monitor your database in the overnight hours, then this option would be quite useful. Once you have specified the hours, click OK to save them. 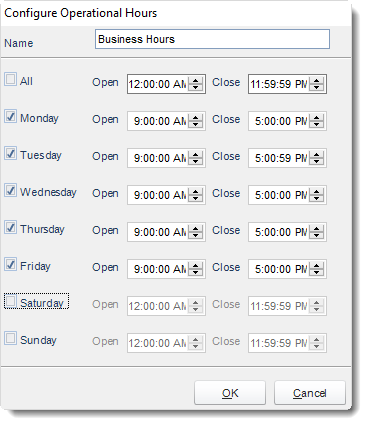 Select the operational hours and click Edit to edit existing operational hours. 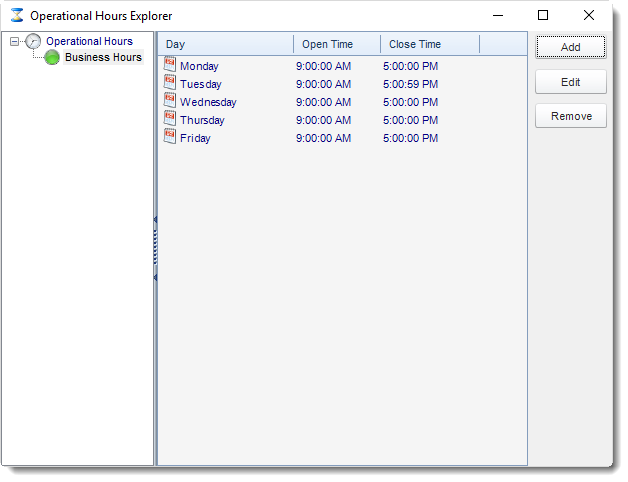 Any defined operational hours will now be available for use with Event-Based Schedules. Go to Exception Handling of your Event Based Schedule. Select your Hours of Operation.